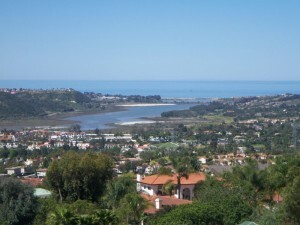 Stretching along seven miles of beautiful Pacific Ocean coastline 35 miles north of downtown San Diego, Carlsbad, “The Village by the Sea,” as locals call it, is home to approximately 110,000 year-round residents, although thousands more visit Carlsbad every year. This is a mostly affluent community known for its charming small hotels and inns, and 5-star luxury resorts. Although homes and businesses began sprouting up here in the 1880s, it was the area’s fertile agricultural land and its productivity that kept the town afloat during a subsequent real estate downturn. Today, homes here range from quaint 1950s cottages and bungalows, to elegant hillside ocean view mansions. There are also several newer master-planned communities set among rolling hills and golf courses such as the renowned Omni La Costa Resort & Spa. Carlsbad is known as a frontrunner ecologically-sensitive city, spending significantly to protect wildlife habitat, preserve open space and restore areas compromised by development.